This vibrant pink powder gives me the extra boost when I need it after lunch. I am personally enjoying it with either coconut water, filtered water or I'll add it to a power shake. For those of us minimizing coffee and latte's, CAN'T BEET THIS! is a sure friend. 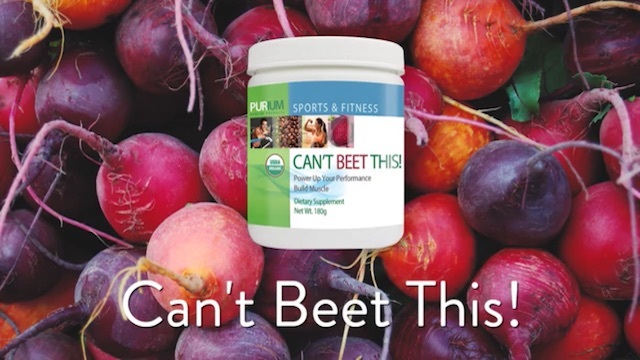 This organic beetroot formula delivers oxygen and nutrients to fuel workouts and keep endurance strong. Sustaining vascular integrity and health, CAN'T BEET THIS! is low in sugar and filled with natural herbs and plants to support energy levels as well as flavor. Among the organic blend, key ingredients include Coconut Water, Yerba Mate Leaf, Maca, Rhodiola Rosea, Panax Ginseng, Eleuthero Root and Cordyceps Mushrooms. Organic Beetroot - Consuming beets has been recommended for centuries by herbalists in Europe for its organ strengthening qualities and more specifically for those whose liver needed more support. 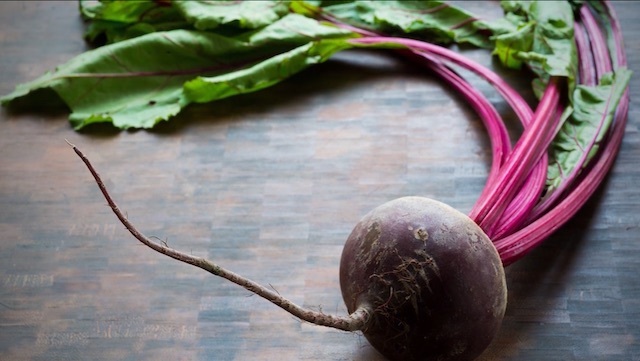 We now know that beetroot is indeed one of the most natural sources of bioavailable iron and that it may increase circulation, which is important for heart, brain, and liver function. Organic Maca Root Powder - Used by the Andean people for two thousand years, Maca is often cited as the food Inca imperial warriors ate before battle. Maca is an amazing source of energy that has gained widespread attention for its role in improving the libidos of both males and females – this is thought to be due to the optimum levels of nutrients it supplies which are aptly utilized by the body's endocrine system. Cordy-Gen®* Organic Cordyceps sinensis Mushroom - Made famous by Chinese runners and swimmers who smashed world records in the 1992 Olympics after using these totally legal and safe mushrooms during their fierce training. Cordyceps helped to give them the strength they needed while also supporting their immune system. Practitioners of traditional Chinese medicine have used cordyceps to help treat fatigue and other ailments for 1,500 years. Organic Panax Ginseng - one of the most unique, valuable and adaptogenic herbs on the entire planet. It is the gentlest and adaptogenic yet contains the wide variety of ginsenosides. And now more evidence has been published showing that many of the potential benefits that have been shared with people are now being validated and confirmed by scientific method. Organic Eleuthero Root - A relative of ginseng, this herb is also considered an “adaptogen” – meaning it adapts to help your body either relax or have energy, depending on what it needs. Eleuthero is also thought to help increase mental acuity and is considered a great source of stamina and endurance for athletes. May also support the liver in the cleansing of harmful toxins. Organic Rhodiola rosea Extract - Thought to be helpful for reducing stress, this herb has been used for centuries throughout Asia. May also help to support a healthy immune system and may also alleviate symptoms of depression. Organic Guar Gum - Has been used to reduce diarrhea as it is a fiber that helps normalize the moisture content of stool. It may also help reduce the amount of cholesterol that stays in the blood. It may also help decrease appetite. Organic Coffeeberry®** Whole Coffee Fruit Extract - Coffee whole-fruit extract utilizing the non-roasted whole fruit of the coffee plant, not just the bean. Contains natural coffee caffeine. Full of antioxidants. Compounds found in coffee berry whole fruit extract include caffeic acid, chlorogenic acid, organic acid, trigonelline and essential monosaccharides. It is an antioxidant that may blood sugar and immune system support and relief from inflammation. Polysaccharides, such as mannans and arabinogalactans, are present in the dry weight of the powder. Conventional roasting destroys these nutrients, so they're not found in traditional brewed coffee.